Group 2 ended their year together with a Community Orientation tour of Inverness organised by Dan Simpson, GPST3 in the group. 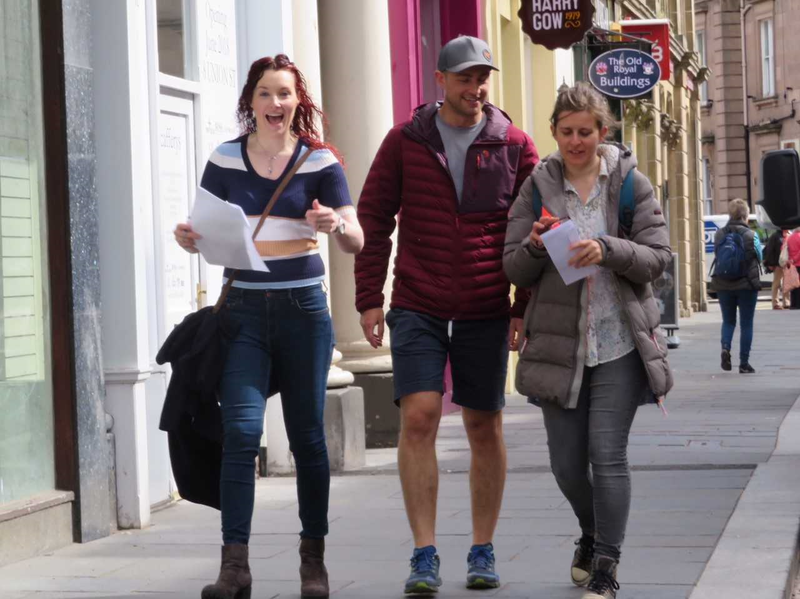 The group embarked on a Treasure Hunt for resources around Inverness to support a patient, Mike and his life’s journey. The ups and downs, mainly downs and the trials and tribulations, mainly both through an early marriage, accidental fatherhood, drug addiction and steroid misuse and housing problems. A life you’d have thought would end in further calamity, but was thankfully was saved by a happy ending, the partner of his dreams and three ‘very gifted’ children…! The treasure hunt took the group through twists and turns around Inverness taking in the sights: needle exchange points, drop-in centres and support agencies and through over 8000 steps to end at Eden Court Theatre for coffee and cake. The afternoon had a big ask to match such adventure, but the group headed back to Centre for Health Science for a free lunch and time to catch up with other groups from Caledonian and Rural Track programmes which had to be a good start to the afternoon. This was followed by a presentation on the Homeless Service in Inverness and measurements of weight, BMI, % body fat, % Body Water and biological age calculation, a tool used by the homeless service to promote healthy eating amongst their clients. Fortunately, time ran out before this facilitator could step onto the scales…! The afternoon ended with some motivational videos, reflections on the year of day release and final goodbyes to those leaving the group. A fitting end to the year, bring on the next…!